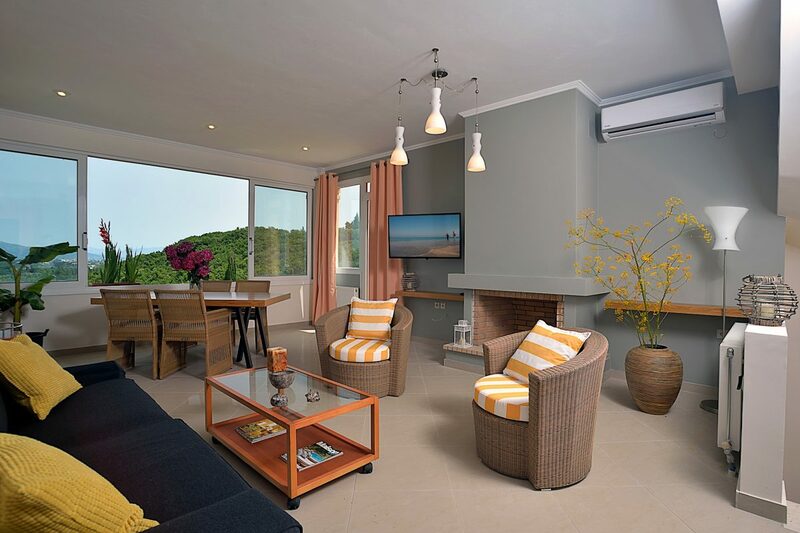 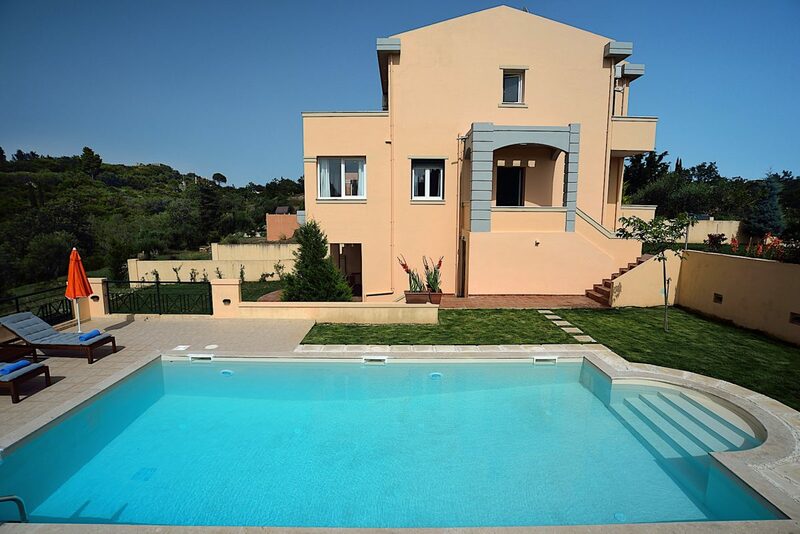 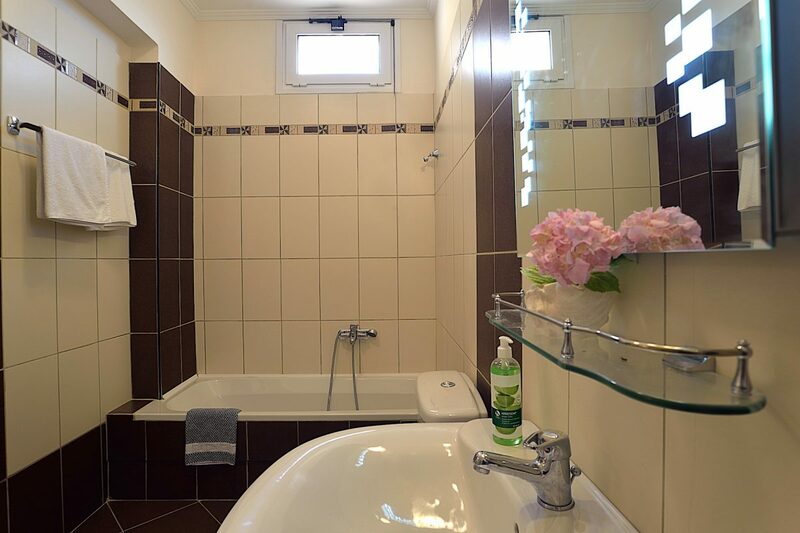 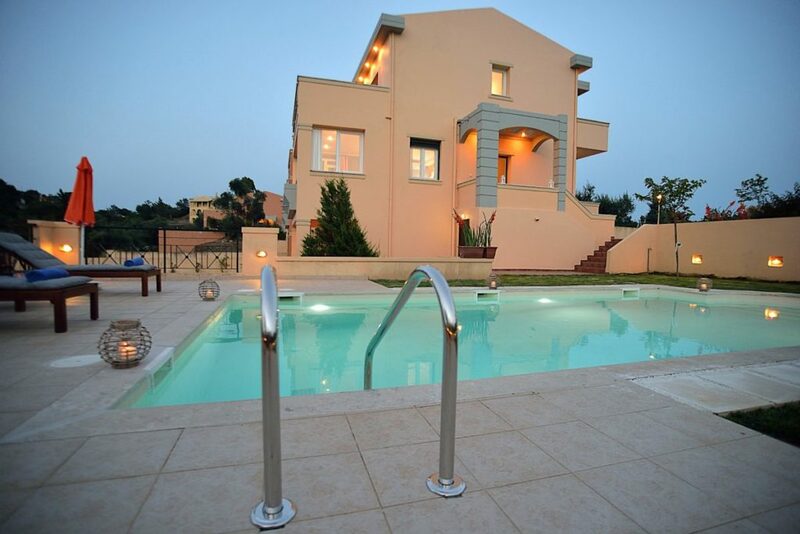 A 200 square meters villa, can Accommodate up to 6-8 guests, 3 bedrooms with private Bathrooms, 2 kitchens, 2 spacious living rooms and a Private Pool, 8min with a Car from the sea (3.3 Km). The Private Villa IRIDA at Corfu, Is a 3 story villa (200 square meters), has 3 beautifully appointed bedrooms with private Bathrooms , 2 kitchens with appliances, such as dishwasher, Kitchen Multi-tool Mixer and Chopper, espresso machine, filter coffee maker, toaster and kettle, 2 spacious living rooms one with direct kitchen access and the second with a small service kitchen, a private pool, complete with sun beds and umbrellas, an incredible olive gazebo with a dining table, a Barbecue grill, Wi-Fi internet access, a safe, a private parking space. 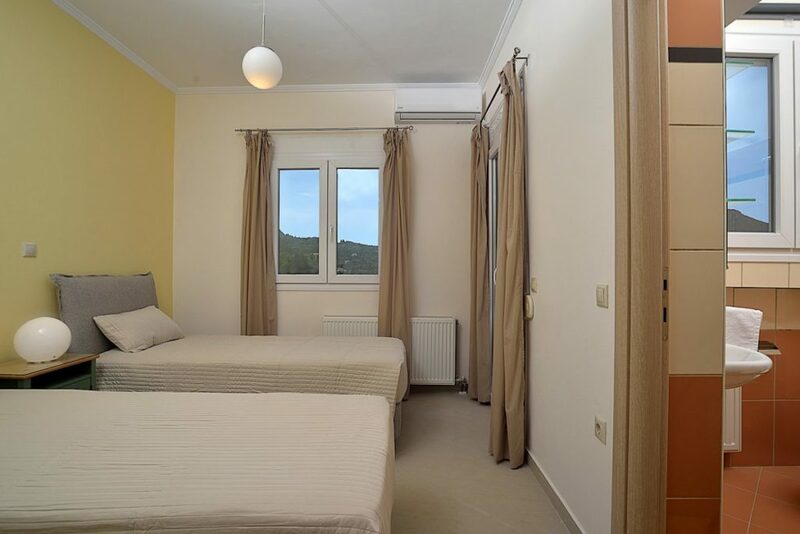 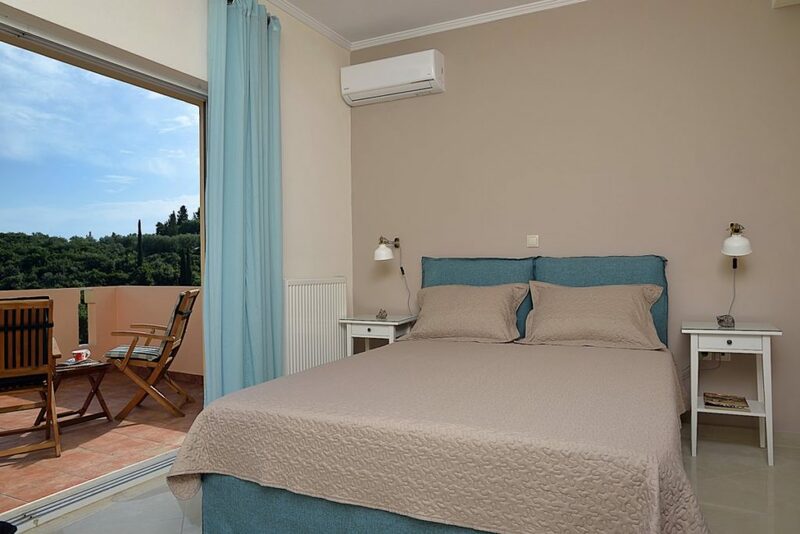 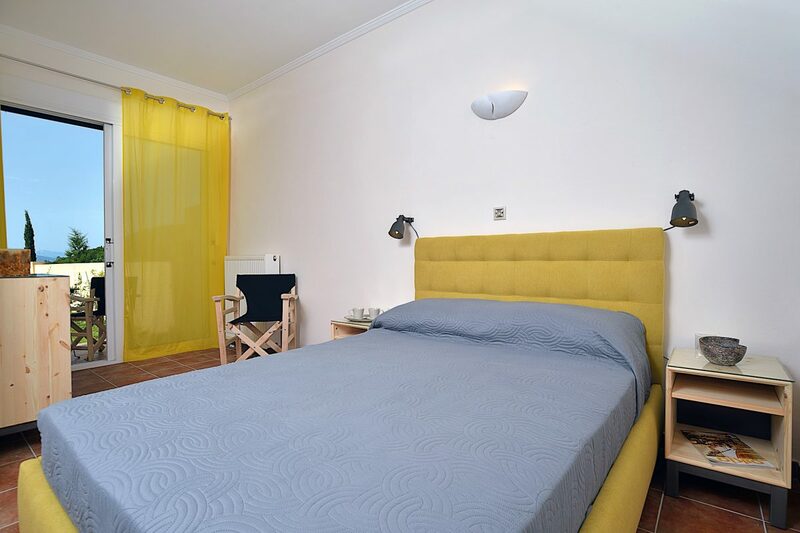 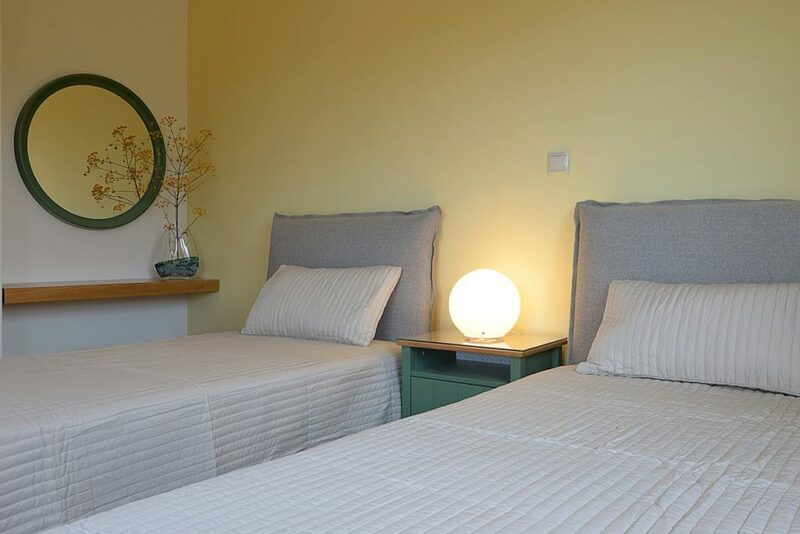 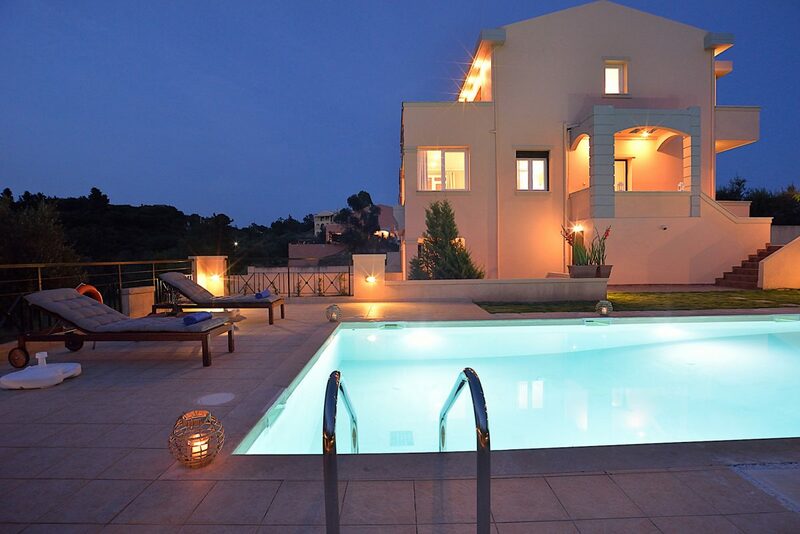 The villa can Accommodate up to 6-8 guests. 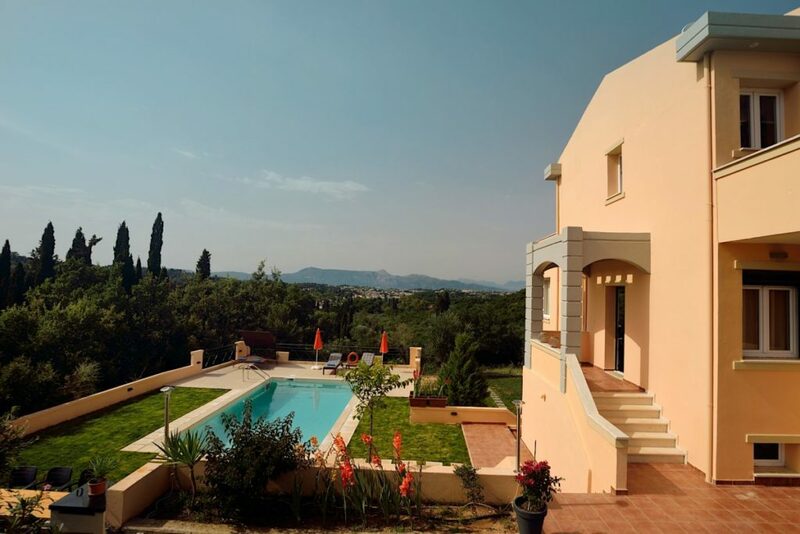 The surrounding areas are like a Green oasis, with colorful geraniums, pines, cypress and olive trees, begonias and lavenders. 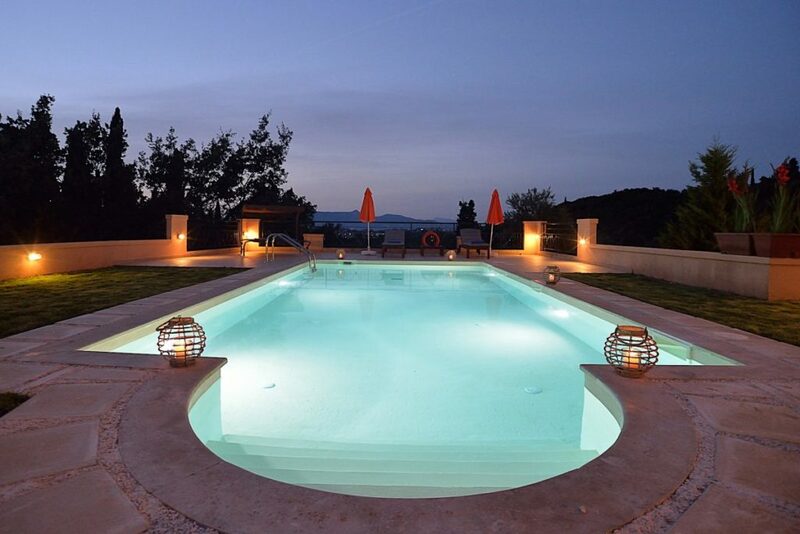 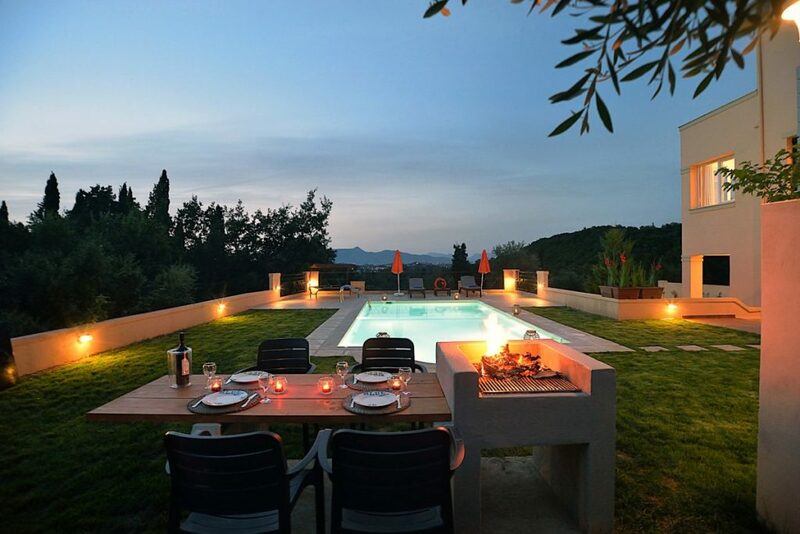 The sparkling private pool promises long hours of fun under the hot Mediterranean sun, So enjoy your vacations in Corfu in this secluded paradise and live your own luxury myth in Greece. 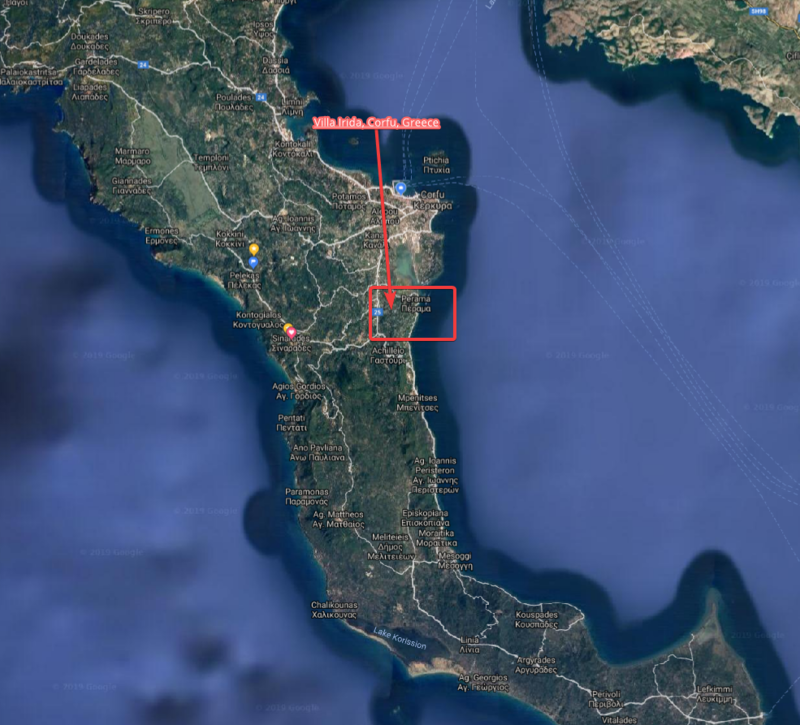 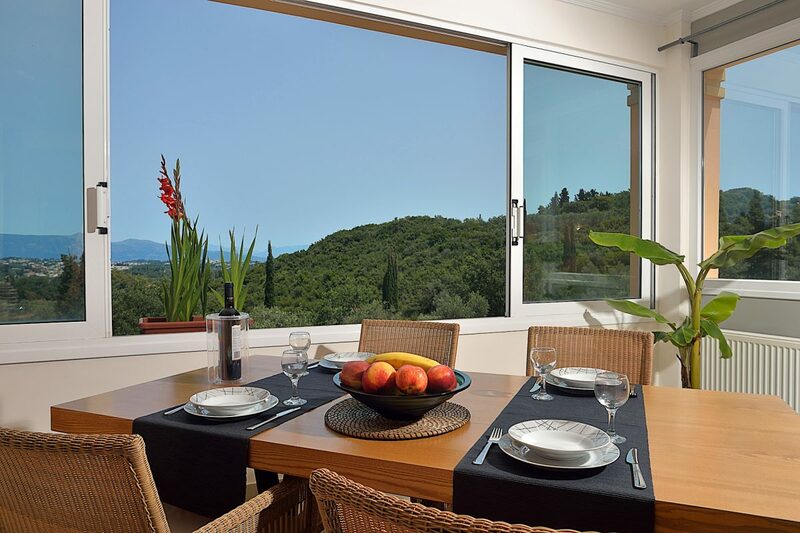 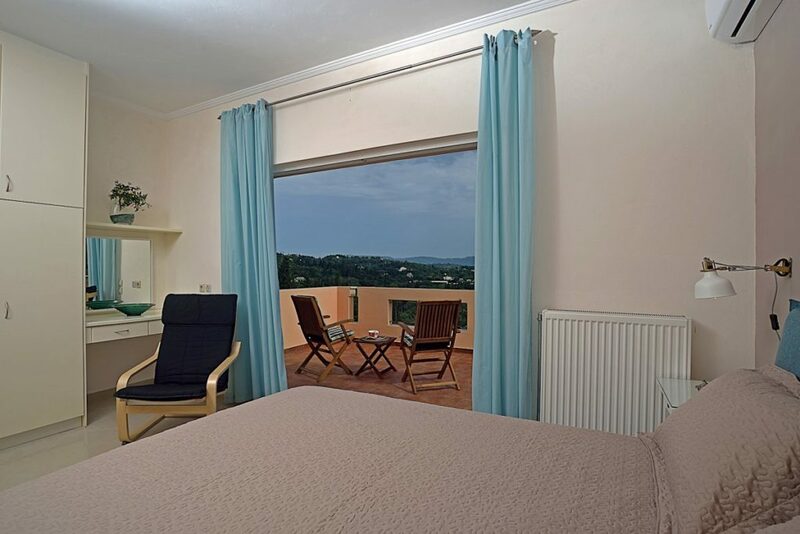 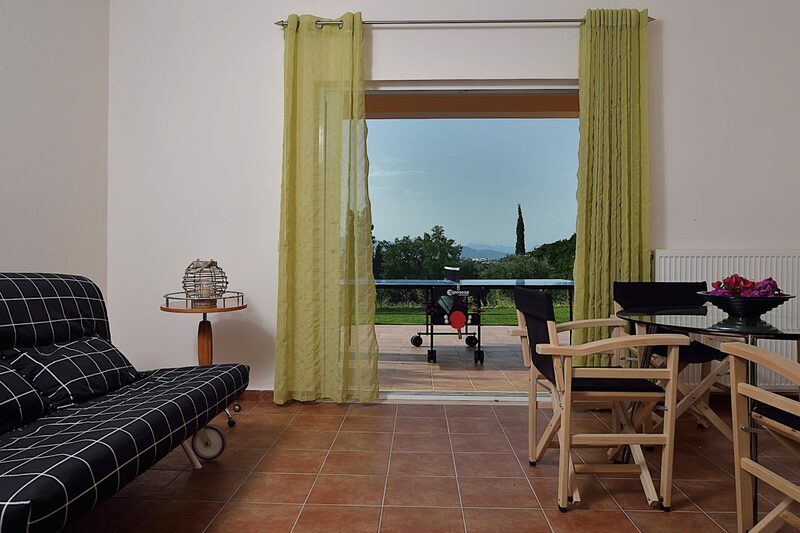 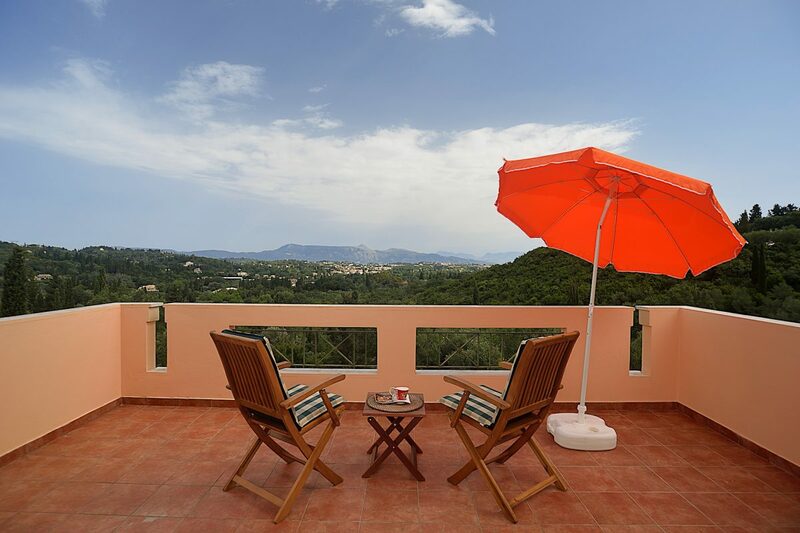 Built on the island’s eastern part, among lush vegetation, and in a stunning natural environment, the Villa constitutes the ideal choice for luxurious accommodation in Corfu. 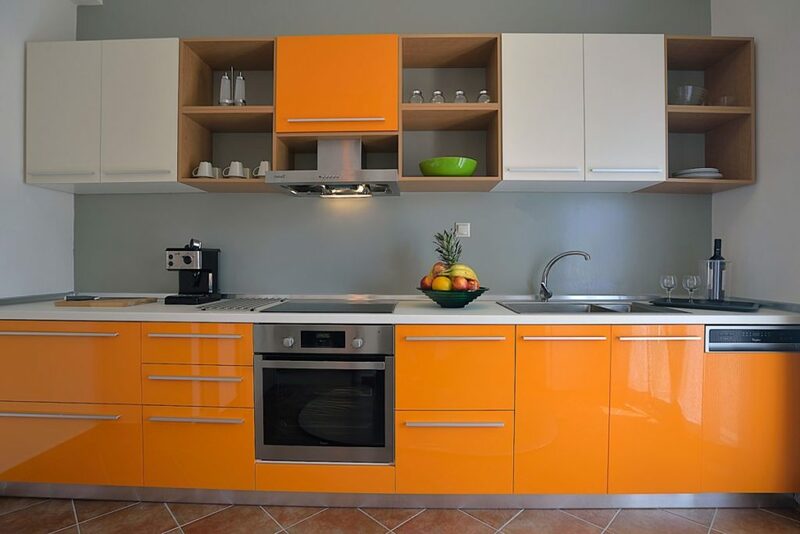 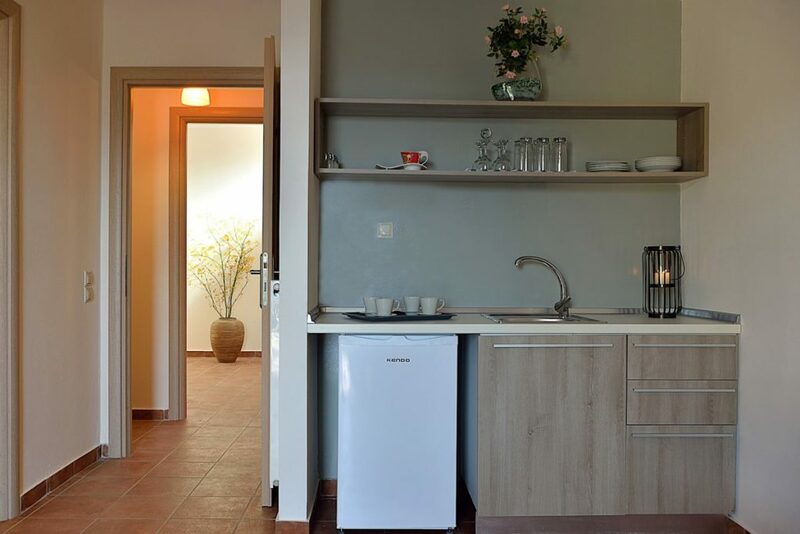 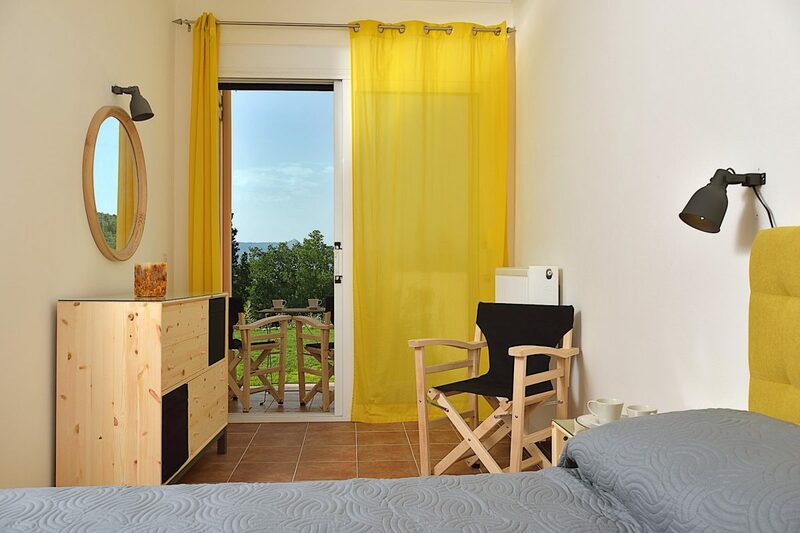 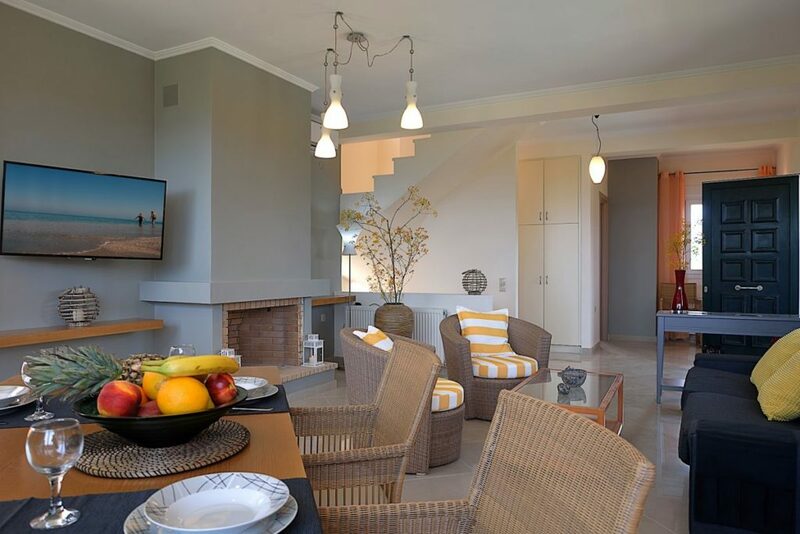 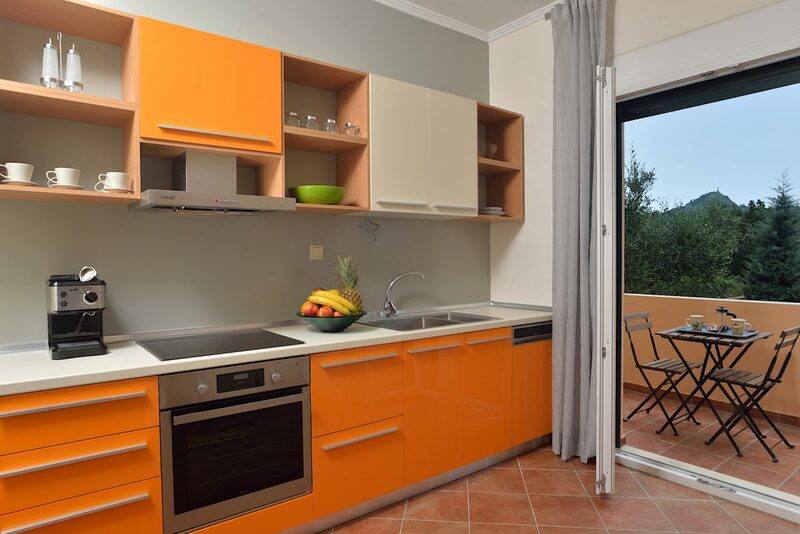 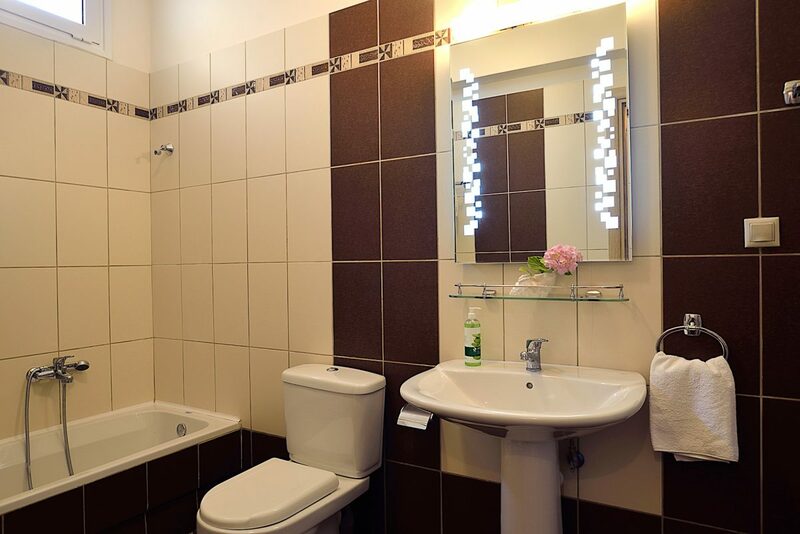 The villa has fully equipped kitchens, elegant decoration, comfortable indoor and outdoor furniture. 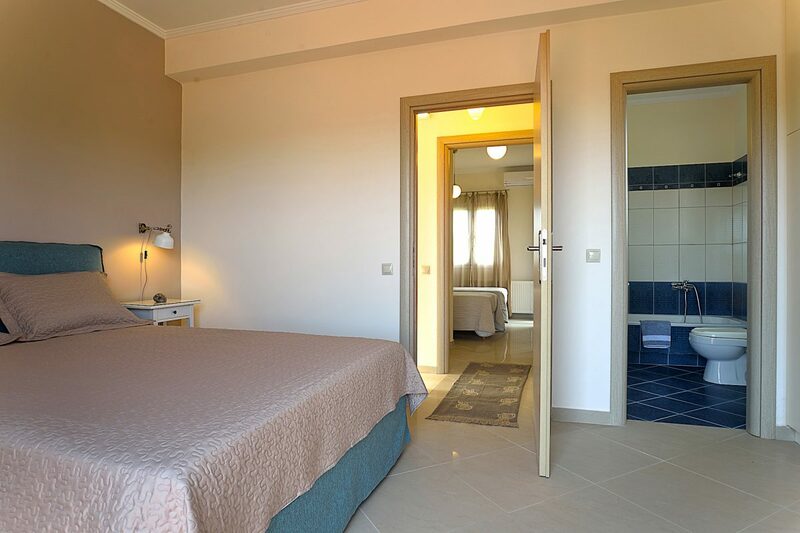 Perfect for families and friends who want to enjoy their holidays away from the bustling crowds and equally perfect for upscale couples that want to relax under the Mediterranean sun and enjoy fully luxurious services.